As a boy immersed in the scientific adventures of Doc Savage, the wonders of Jules Verne and H.G. Wells, and pulps such as The Shadow, The Spider, and The Avenger, James Rollins decided he wanted to be a writer. He honed his storytelling skills early, spinning elaborate tales that were often at the heart of pranks played on his brothers and sisters. Before he would set heroes and villains on harrowing adventures, Rollins embarked on a career in veterinary medicine, graduating from the University of Missouri and establishing a successful veterinary practice. He continues to volunteer his time and veterinary skills in support of the local SPCA. 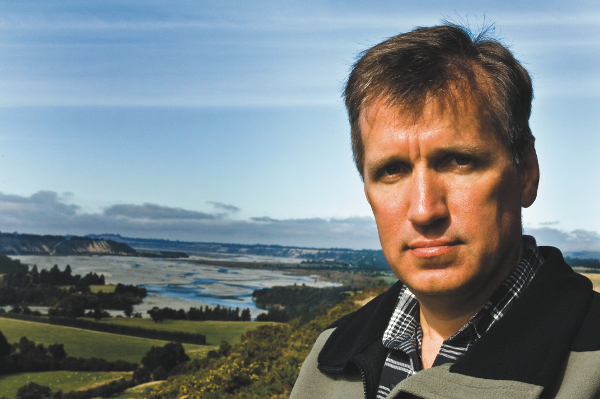 His hands-on knowledge of medicine and science helps shape the research and scientific speculation that set James Rollins books apart. James Rollins is the founder of Authors United, a group of bestselling authors dedicated to raising funds and awareness for USA Cares. This nonprofit organization seeks to help soldiers and their families through job placement, housing assistance, and emergency aid. Their mission is simple: restore financial stability and self-sufficiency, while instilling a renewed sense of hope among the brave men and women who have put their lives on the line for our freedom. Check out his website here, Facebook and Twitter. The book is in stores on Tuesday, January 22nd from William Morrow. Check out his upcoming appearances here. Listen to the interview below. 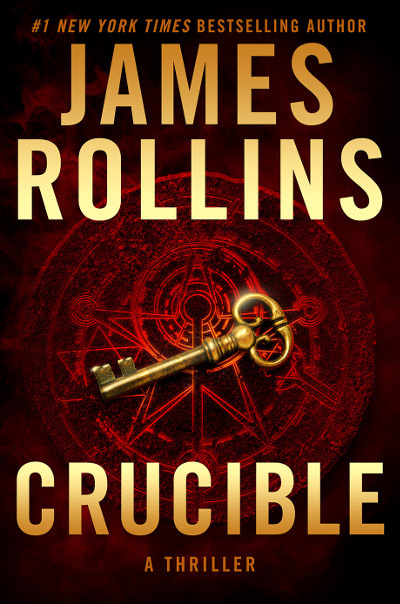 In CRUCIBLE (Morrow, on sale 1/22/2018, ISBN: 9780062381781, $28.99), #1 New York Times bestselling author James Rollins shines a light on what’s currently transpiring in computer labs around the world, some of it is quite miraculous, especially when it comes to the research into artificial intelligence. We’re much farther along a path to a true human-like intelligence than most people realize. And with CRUCIBLE, Rollins speculates where this path could lead. Take AlphaGO—Google’s DeepMind AI player—as an example. It beat the world’s champion at the Chinese game of Go, a game that is trillions upon trillions of times more complex than chess. It took Google a few months to train AlphaGo to accomplish this. But what’s even more terrifying is Google built this program’s big brother, AlphaGoZero. This new program taught itself this game, all on its own, and in only three days, became the world champion, beating even its original version in a hundred out of a hundred games. It did this by developing strategies that no human had come up with after thousands of years of play. And there are even stronger programs on the horizon. Coupling together the most advance developments in artificial intelligence with the troubling history of the persecution of women believed to be witches—drawing on historical records from the Spanish Inquisition and one of the most reviled and blood-soaked books known to mankind, The Hammer of Witches—Rollins has created a riveting, thought-provoking, inventive, and timely speculative adventure novel in CRUCIBLE. His own research into the discrimination of female scientists in today’s ‘enlightened’ times informs his portrayal of the women scientists featured in the book. This fiery thriller brings into focus some of the most complex and troubling issues that have plagued humankind’s past; issues that resonate strongly today—all told with Rollins’ trademark blend of cutting edge science, historical mystery, and pulse-pounding action.